In this latest post in our GDPR blog series, we discuss the link between email management and GDPR compliance. With email predicted to total over 319.6 billion sent and received per day by the end of 2021 among 4.1 billion worldwide email users (Radicati) organizations face ever increasing volumes of complex electronic data. Surveys show that email has become the de facto file transport system, followed by SharePoint (Osterman) and this trend is expected to continue. 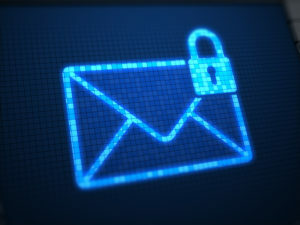 Because personal information as defined by GDPR may be contained in emails, compliance strategies require that emails be stored securely and easily identified. Gaining control over this data so that businesses know what to keep and find what’s relevant–when needed–is key for both security and compliance purposes. Using SharePoint as a content store for Office 365 is common, but the challenge still remains being able to seamlessly move the information between SharePoint and email—whether working in Outlook on a desktop or a mobile device. Without access to an easy way to fully integrating the two apps into a “single pane of glass, users will continue to create workarounds. You need to know what and where your data is. Centralize tagging and securing email records with other enterprise content in SharePoint to minimize risk of regulatory or legal sanctions and facilitate search. You need visibility into your performance. Use activity dashboards and analytics to reduce risk and optimize value. Monitor user adoption of the process. You need to prove the business case for your investment. Leverage existing technology investments, including the built-in Office 365 information protection capabilities, and complete your solution with third party applications that support these features (like labels). It’s critical for many organizations to manage emails according to strict compliance and legal requirements. But emails also contain essential business information, so there needs to be a capability to share this information with team members and other colleagues in the organization. These requirements must be solved together without negatively impacting employee productivity, by integrating information governance and collaboration into employees’ daily work processes, habits and applications. It’s a balancing act that we’ll explore in our next blog post in this series. The move to Office 365 & SharePoint creates enormous possibilities in terms of how your organization captures and stores information, giving you new options for how you comply with GDPR. On April 23 we co-hosted a webinar with MVP Robert Bogue to share how to apply Microsoft’s game-changing records management capabilities for Office 365—including labels—that are transforming how SharePoint works as a records and knowledge repository. Watch the on-demand recording now if you missed the live broadcast.